Mr. Schaefer has been practicing matrimonial law for more than 40 years. Clients from Michigan, New York, Florida, Illinois, New Jersey, Colorado, Nevada, California, and elsewhere in the United States have regularly sought him out for representation in divorce actions where millions of dollars have been contested and, in at least one case, where more than $1 billion was at stake. Mr. Schaefer regularly appears on radio and television programs discussing legal topics, including matrimonial law. In 2010, Michigan State University College of Law dedicated and named the law library “The John F. Schaefer Law Library”; and dedicated The John F. Schaefer Chair in Matrimonial Law. Mr. Schaefer has served on the Board of Trustees, (now a Trustee Emeritus), and for more than 30 years as an adjunct professor of law at the Detroit College of Law, now Michigan State University College of Law, from which he was bestowed the Distinguished Alumni Award, and from which he holds an honorary Doctor of Laws degree. He has also been an instructor for the Michigan Judicial Institute, educating hundreds of Michigan circuit court judges in the substance of matrimonial law, in addition to regular speaking engagements for ICLE and other organizations. In addition, he has been associated with numerous professional organizations, including: the American Academy of Matrimonial Lawyers, Past President (Michigan Chapter); Michigan State Bar Foundation Fellows; Oakland County Bar Association, President; and State Bar of Michigan: Family Law Section, Past Chairman; Attorney Grievance Commission, Arbitrator; and Committee on Character and Fitness. Among numerous civic and philanthropic organizations, he has served on the Board of Trustees of William Beaumont Hospital, now Beaumont Health, since 2000, and was formerly a director of the Detroit Police Athletic League. He currently serves on the Board of Directors for the Michigan Humane Society. 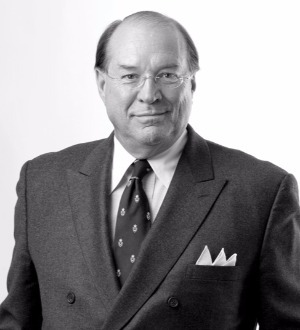 In furtherance of his courtroom accomplishments, among Mr. Schaefer's many notable cases include Dart v. Dart, a case involving the laws and courts of England and assets in excess of $1 Billion; Nasser v. Nasser, representing the 36 year wife of Jacques Nasser, the then CEO of Ford Motor Company; and two cases of Iacocca v. Iacocca, representing two of the wives of Lee Iacocca, the former CEO of Chrysler Corporation. He has also represented the distinguished and notable Robert A. Lutz, former President of Chrysler Corporation and Vice Chairman of General Motors Corporation. Mr. Schaefer attended Cranbrook School, the University of Notre Dame, Michigan State University, and the Detroit College of Law, (now Michigan State University College of Law). Although a renowned expert on matrimonial law, he also negotiates contracts for media personalities, and buyouts and golden parachutes for leading business executives. The firm has offices in Birmingham, Grosse Pointe, and Harbor Springs, Michigan.